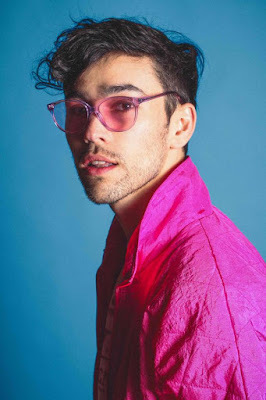 Max Schneider is an American musician and actor, known for Nickelodeon’s “How to Rock” and “Rags”. He also had an opportunity to model for Dolce & Gabbana campaign with Madonna. 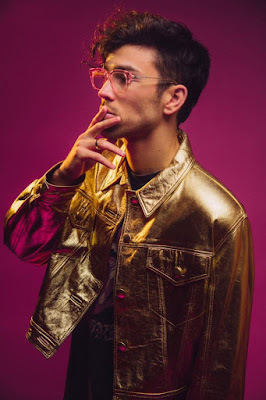 Max started his musical career from doing covers of songs and now, after releasing two solo albums, he and his friend formed a duo called Party Pupils. In the interview Max is talking about the origins of his new project, his musical inspirations, crowdfunding and Nickelodeon memories. In Summer 2016 you started your new musical project called Party Pupils with your friend Ryan Siegel. Now we can listen to your remixes of popular songs on Soundcloud. How did your collaboration start and when did you come up with the idea for this project? Well Ryan and I have been performing together for about 3 years so the collaboration to create our own music and project came very naturally. We were sitting in our garage/studio in LA and Ryan basically said the name "Party Pupils" and we knew we just had to start the duo right then. As a member of Party Pupils, you covered "Ms. Jackson" by Outkast and "Pony" by Ginuwine, but you also did a lot of covers earlier for example of the songs of Sia, Imagine Dragons and Maroon 5. Who is your favourite artist and what are your greatest musical inspirations? So many musical influences but to name a few Prince, Stevie Wonder, Etta James, Kaytranada, Billy Joel, and Michael Jackson. Party Pupils is becoming more and more popular and you had a lot of great concerts in the US, even the sold-out ones. Can we expect some surprises from you in the foreseeable future? Any plans for the European tour? Always got lots of surprises up our sleeves! Absolutely we are currently planning our Europe shows and we can't wait to come over there and perform. You released two successful albums as a soloist ("NWL" and "Hell's Kitchen Angel") and four extended plays. One of them was recorded thanks to donations on Kickstarter. Why did you decide to choose this form of funding your project? Do you think that crowdfunding is the future of the music industry? I think an independent mind set is definitely the future of music regardless of who funds it. Labels, crowd funded, self funded. It doesn't really matter as long as the creative freedom is there. I chose to specifically do that one crowd funding experience because it is always about the fans. It always comes back to the heart of the music and the listeners. The rest is just glitz and glamor that isn't essential to the true artistry of it all I think. Apart from being a talented musician, you are also a gifted actor. You became popular for your roles in Nickelodeon shows like "Rags" and "How to Rock". What are your favourite memories from the adventure with Nickelodeon? Definitely getting slimed multiple times and diving into a macaroni pool. Many wonderful memories. Almost one million people follow you on Facebook and more than 570 thousand on Instagram. What is your recipe for the success in the music industry? How can you inspire others to follow their dreams in a few words? The only recipe I can really recommend is passion, persistence, and hard work. It's just about all the little things amounting to make the big things happen. Follow your path and know the obstacles in the road will only make you stronger and more passionate about what you believe in and stand for.